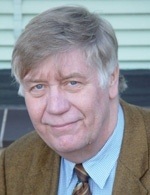 The recipient of the 2008 Rossini Lectureship Award, selected by the Board of Directors of the International Association of Chemical Thermodynamics (IACT), is Jürgen Gmehling of the University of Oldenburg, Germany. This highly esteemed award is given by IACT in recognition of a significant contribution to the field. Professor Gmehling’s career started with an apprenticeship as a laboratory technician, after which he studied chemistry at the Technical College in Essen, Germany, where he obtained his degree of Diplom-Chemiker in 1970. He attained a doctoral degree in 1973 at the University of Dortmund. He was appointed chair of Reaction Engineering in the Department of Chemical Engineering at the University of Dortmund and, in 1989, he joined the faculty of the University of Oldenburg as professor of Chemical Engineering. Gmehling’s research activity has been directed at understanding the various processes in a chemical plant such as the preparation of feedstocks, the reaction itself, and the effects of temperature and pressure, energy and mass transfer, and the separation process, be it distillation, extraction, absorption, or crystallization. This requires accurate experimental thermodynamic measurements, reliable thermodynamic models for the prediction of thermodynamic properties, and an extensive data bank of reliable data, which can be used to derive the model parameters. Gmehling has made an outstanding contribution in each of these three areas. His laboratory has produced a large amount of reliable experimental data, which include measurements of phase equilibria for pure substances and binary and multicomponent systems, measurements of activity coefficients at infinite dilution, measurements of heats of mixing and heat capacity, and measurements of the kinetics of chemical reactions. The thermodynamic models, which he has developed and tested, include the group contribution methods UNIFAC, ASOG, and modified UNIFAC, and the predictive Soave-Redlich-Kwong equation of state (PSRK). These models are well-known worldwide, and are integrated in most of the commercially available process simulators (such as ASPEN and CHEMCAD) used throughout the world for the synthesis and design of the different processes in chemical industry. Gmehling began a systematic evaluation of the scientific literature in the 1970s, with the goal of building a data bank for vapor-liquid equilibria. This data bank, which has expanded dramatically in recent decades, is still named the Dortmund Data Bank, although it is now maintained by a company which Gmehling founded in Oldenburg. It contains pure component property data for about 12 000 compounds, vapor-liquid equilibria data for some 20 000 mixtures, about 35 000 activity coefficients at infinite dilution, 42 000 sets of azeotropic data, and 13 500 heats of mixing. It is through his measurement facilities, his systematic experimental work, and his extensive data bank that Gmehling has been able to determine the advantages and disadvantages, the weaknesses, and the range of validity of the various thermodynamic models. The Rossini award is presented at the Biennial IUPAC Conference on Chemical Thermodynamics, where the recipient delivers the Rossini Lecture (see ICCT announcement on page 31). Recipients in the past decade have been Robert A. Alberty (1996), Stanley I. Sandler (1998), William A. Wakeham (2000), John M. Prausnitz (2002), Jean-Pierre E. Grolier (2004), and Alexandra Navrotsky (2006). For more about IACT, see Jan-Feb 2004 CI; for more about the Rossini lecture, see Mar-Apr 2003 CI.